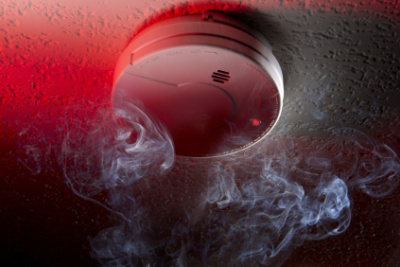 Landlords will be required by law to install working smoke and carbon monoxide alarms in their properties, under measures announced by Housing Minister Brandon Lewis (11 March 2015). It has been a requirement since 1992 that a new build property be fitted with at least one hard-wired smoke alarm. Further, since October 2010, a new build property must have a carbon monoxide detector installed in any areas where either a replacement or new fixed solid fuel-burning appliance is positioned. However, new measures were announced by the current Housing Minister, Brandon Lewis, on the 11th March 2015. These measures will create a legal requirement for landlords to ensure that working smoke and carbon monoxide alarms are installed in their properties. Pending approval by Parliament, it is anticipated that these measures will come into force on the 10th October 2015. Under the measures, a landlord would need to ensure the installation of a smoke alarm on each floor of the property. These alarms would then need to be checked at the commencement of each tenancy. In accordance with the current Building Regulations, landlords will also be required to ensure installation of carbon monoxide alarms in high risk rooms (e.g. where a solid fuel heating system is located). Failure to comply with the measures once they have been introduced would result in sanctions and also a potential civil penalty of up to £5,000.00. It is anticipated, however, that the 46 fire and rescue services across the country will assist landlords in their localities with implementation and information on the new measures. The move will help prevent up to 26 deaths and 670 injuries a year. Martin & Wheatley can arrange for accredited installation and service of carbon monoxide and smoke alarms. Please call us if you would like to discuss any aspect of this new ruling.